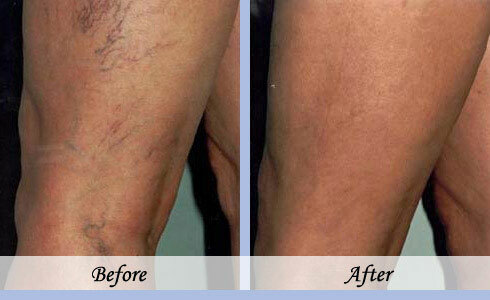 Varicose and spider veins can be more than just a cosmetic concern. Depending on its severity, it can cause venous insufficiency, which is a chronic swelling of the leg. This can increase your predisposition to blood clots and skin ulcers, which can result in serious medical consequences. We offer sclerotherapy treatment for medical and cosmetic purposes, which is an injective treatment for collapsing problem veins. Desired results and number of necessary treatments will depend on the severity of your condition, which will naturally vary from patient to patient.